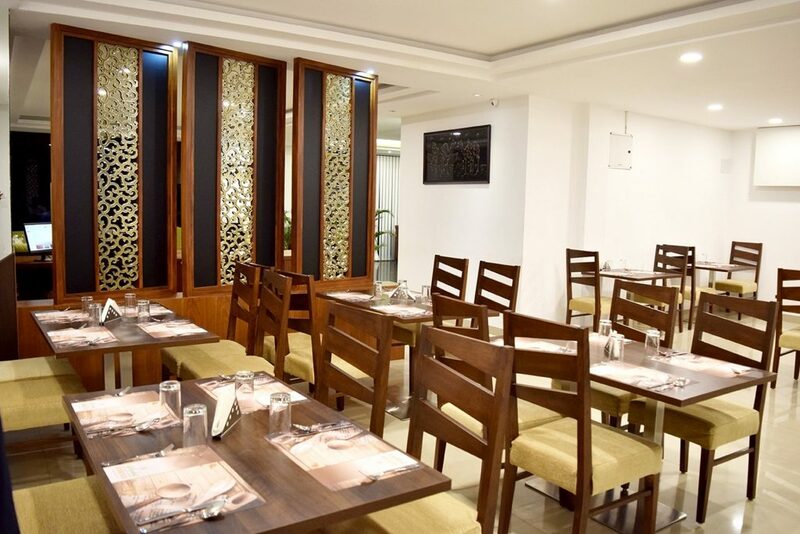 The Eatery our in-house multi-cuisine restaurant at hotel the Verda Prakyathi, which serves a variety of cuisine ranging from Italian, Chinese, Mughlai, South Indian, and continental food. We serve vegetarian as well as non-vegetarian food as per your choice. We make sure that we serve tasty and quality food prepared with the best and fresh ingredients. We hold a team of professional chefs who are experts in their field to serve you the best food. The chicken or mutton biryani are the must try dishes among the other dishes served.One will experience the best hospitality after visiting our restaurant. Staff at the restaurant is always available to help you whenever required. From serving the food to providing personal guidance, our staff is always ready to make you feel comfortable and relaxed whenever you are at our restaurant.